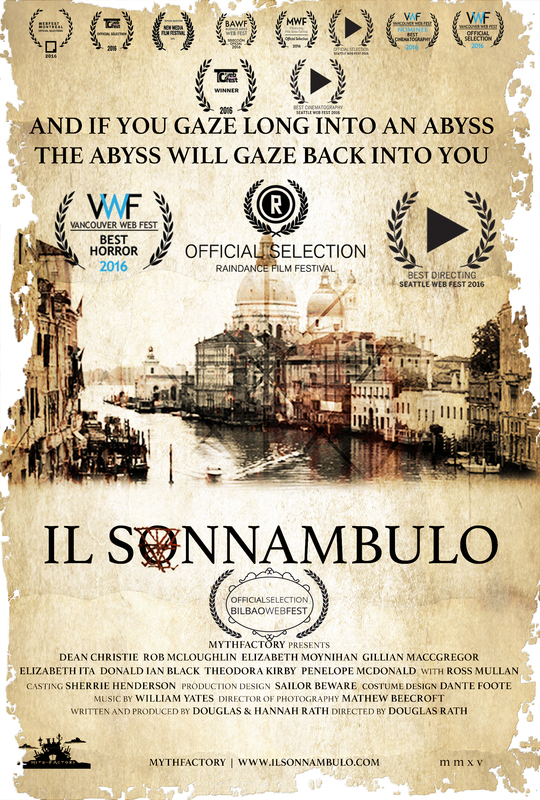 ​Multi award-winning web series IL SONNAMBULO is screening at Raindance Film Festival in competition for “Best International Web Series” on Saturday 1st October, 20.30 at Vue Piccadilly. In this multi award-winning series, controversial photographer Atticus Hurst earned his fortune documenting the crimes of infamous killer “Il Sonnambulo”. In recent years the killer has gone quiet and Atticus’ notoriety has consequently faded. When Atticus receives a tip-off to track down his long-time muse, the dangerously symbiotic relationship between the two is revived. Aided by hacker-turned-journalist Roberto, who swaps information for access to the celebrity miscreant, an unlikely collaboration is born… and the hunt for “Il Sonnambulo” leads to places darker than either of them could have imagined. Il Sonnambulo stars Dean Christie, Rob McLoughlin, Elizabeth Moynihan, Ross Mullan, Gillian MacGregor and is directed by Douglas Rath.